Mary-Ann has over 18 years’ experience as a radio, television & online news media and communications professional working with top local and international teams as well as individuals across a wide range of industries. She has served in varied business leadership roles as news editor, managing news editor and director for news and current affairs, communications specialist consultant, trainer and coach in developing and managing profitable media products/brands, establishing and restructuring successful news operations across the country. She has gained notoriety for her high sense of integrity and professional ethics which have also accounted for her uncompromising success, working under often sticky and challenging political and commercial conditions. Also, she has channeled her passion for professional excellence, public service/activism and philanthropy into co-founding the Communications Advocacy Centre to champion development communication practice & training, media excellence Programing and Mentorship, Policy Advocacy and others. Mary-Ann has a BA in Law and English from the Kwame Nkrumah University of Science and Technology (KNUST), MA in Journalism Studies from Cardiff University, Wales and an Executive MBA from the University of Ghana Business School. 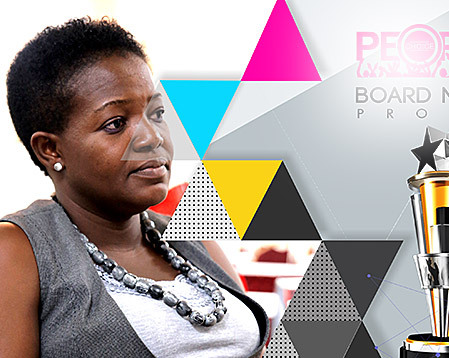 She is a non-executive director for VAP, a pan African Media Empire.